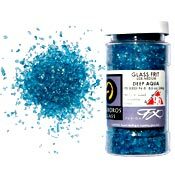 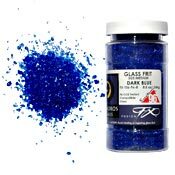 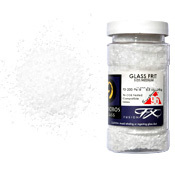 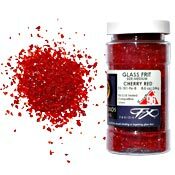 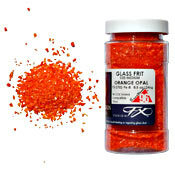 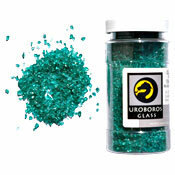 Frit is simply small pieces of System 96 glass which can be used in a variety of ways: in casting, pate de verre, as a design element on sheet glass, and in many other applications such as bead making. 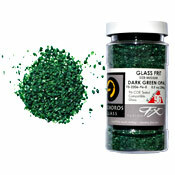 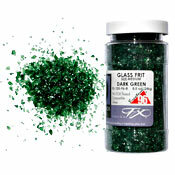 Frit expands your existing palette and adds texture, drama, and magic to your pieces. 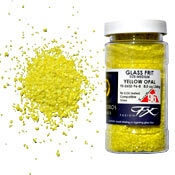 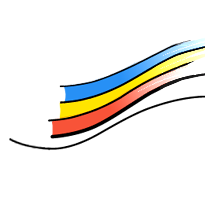 Consider using it as an inclusion in the fusing process to add hints of colour to your project, or in subsequent firings as a fuse to stick element. 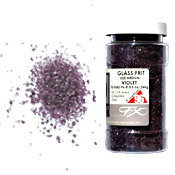 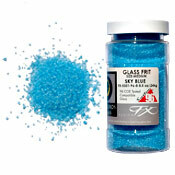 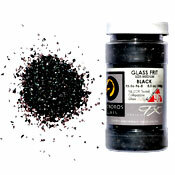 Medium frit is sized to approximately 0.75 to 2.5mm in diameter.